ICC's Category 6a (CAT 6a) FTP, 24-port, 1 RMS patch panels surpass industry requirements for 10 Gig performance to support 10G base-T Ethernet. 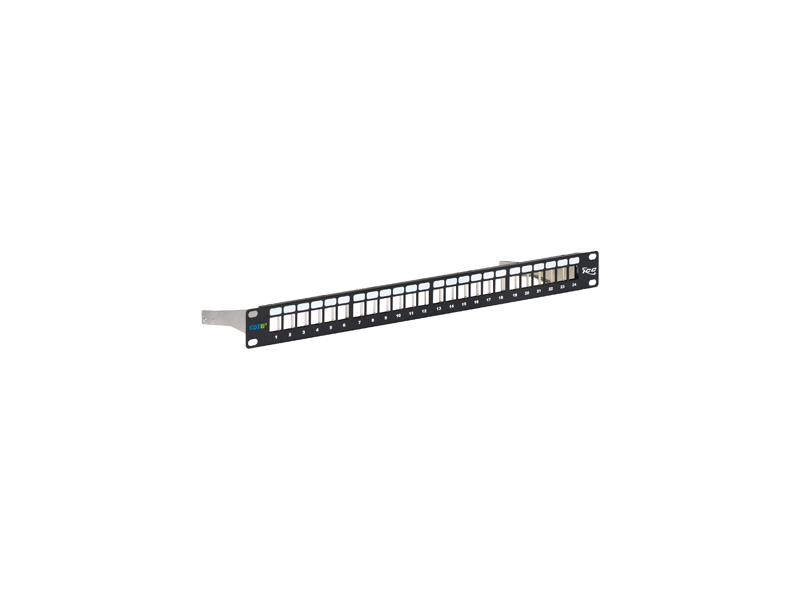 These horizontal patch panels will accommodate 24 ICC CAT 6a FTP Modular Connectors wired to either 568-A or B wiring. Package includes rear cable management bracket&mounting screws.ICC's CAT 6a FTP Shielded Solution is designed to deliver advanced performance and reliability in the most hostile and demanding datacom environments. ICC's shielding system protects vital network terminations from harmful Electromagnetic Interference (EMI) that causes alien crosstalk along the path of a signal. ICC's 10G 6A FTP end-to-end Cabling Solution exceeds all channel performance requirements in TIA-568-B.2-10 from 1 MHz to 500MHz to support the IEEE 802.an standard for 10 Gigabit Ethernet. Such performance will enable your network to support current technologies such as 10/100/1G/10G Ethernet as well as advanced new and Internet Protocol-based services. This system is ideal for Government applications, as well as gaming and financial institutions. Compatible with standard 19 inch Distribution Racks.